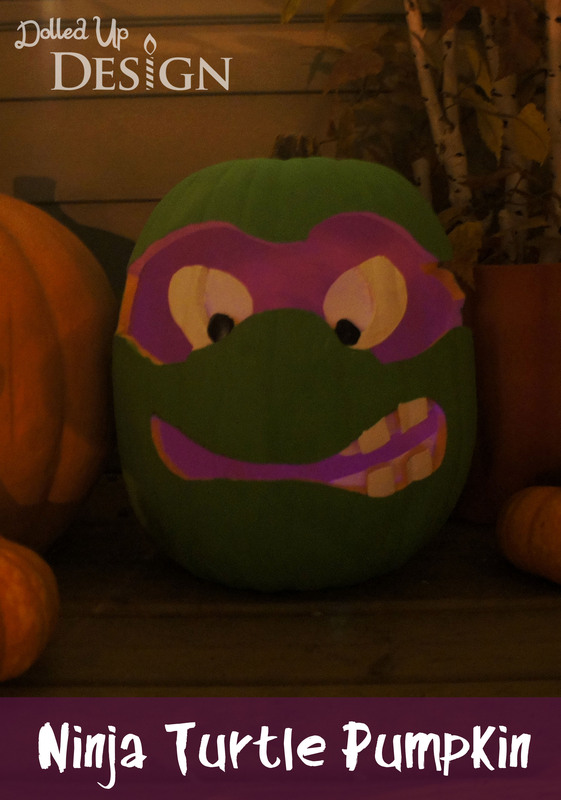 Last Halloween my son was heavily into Ninja Turtles so he wore a Michelangelo costume and I spray painted and carved our pumpkin to match. My husband’s co-worker saw the pumpkin and thought it was pretty great so he asked me to re-create one for him this year. I decided to go with a foam pumpkin instead of a real pumpkin just to allow me more carving time before the pumpkin started to go bad, and to give him something he could reuse in future Halloween’s. 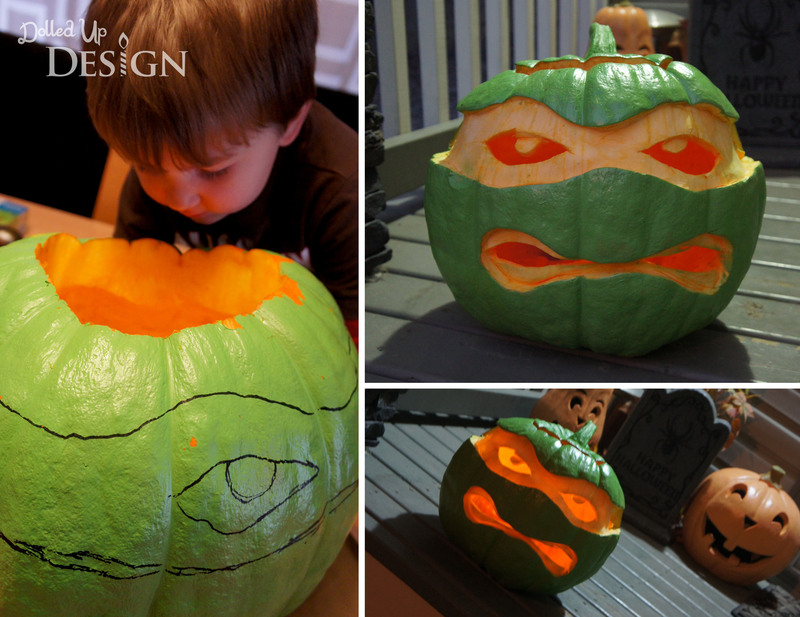 This posed a slight challenge because I no longer had the layers of pumpkin to shave down like I did in Michelangelo’s mask last Halloween but I managed to find a way to make it all work. After a few coats of green paint and some finishing details in black and white, I think the final result looks pretty good. 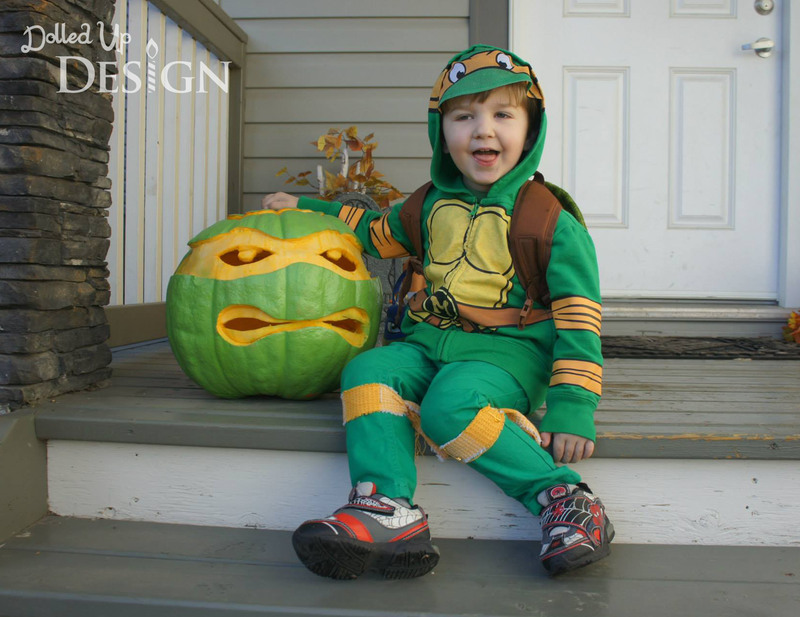 Hopefully he is happy with his pumpkin! And the best part? 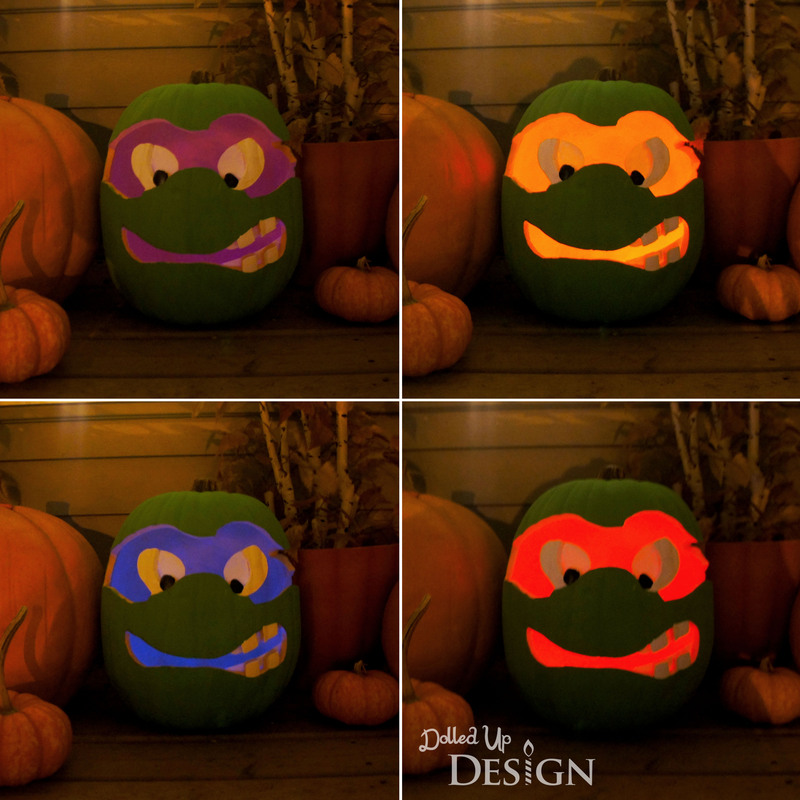 He can change up his turtle just by changing the color of glowstick in his pumpkin. 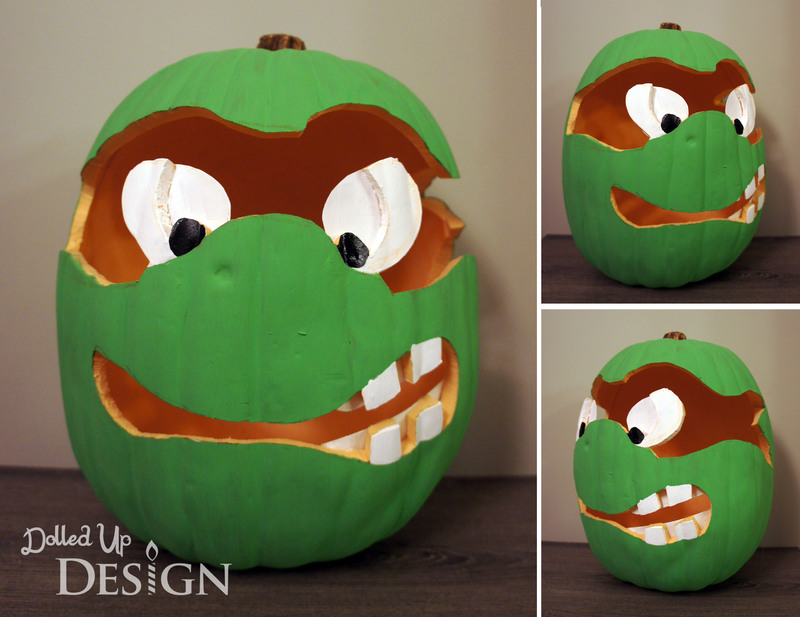 And I can’t wait to show you what I have planned for our own pumpkin this year. Hint: It is Super Mario themed!